Happy, Simply SA – Floor Plan & 2.0! 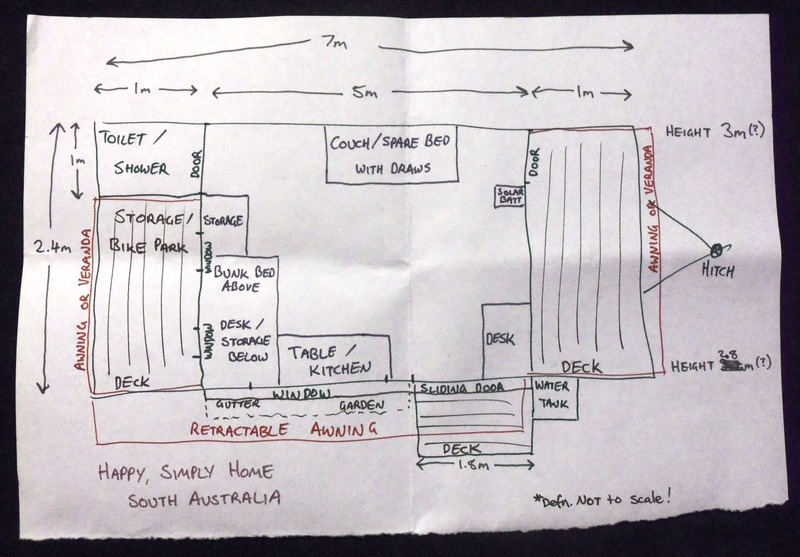 So this is a rough sketch (actually second version after the first one being really rough) on the floor plan and dimensions for the Happy, simply home in SA or almost can be seen as Happy, simply home 2.0! An extra door leading to a toilet and shower – this doesn’t exist in the current Happy, simply home and it should. For me I love showering outside with the solar shower even on a chilly day but not everyone wants to and especially poop in a bucket and take it outside to the compost heap – a shame we mentally struggle with this one when every other animal does crap in a bowl with water it can drink! As someone who has no building or designing experience or even interest I love that I get to put a simple idea on paper like a 10 year old and dream of my perfect space. I look forward to the input of others in the project and I’m not really bound by any of my ideas as it is a community project and this project will take a community to build the home! Input, suggestions, questions, comments or concerns welcome! Aldinga is about 40km south of Adelaide, the capital city of South Australia. Many moons ago, about 20 years ago I think, some people got together and decided they wanted to zone a small area so people with environmentally conscious ideologies and actions could have small blocks with modest houses in an place with few roads, more open spaces and a space for more community connection. 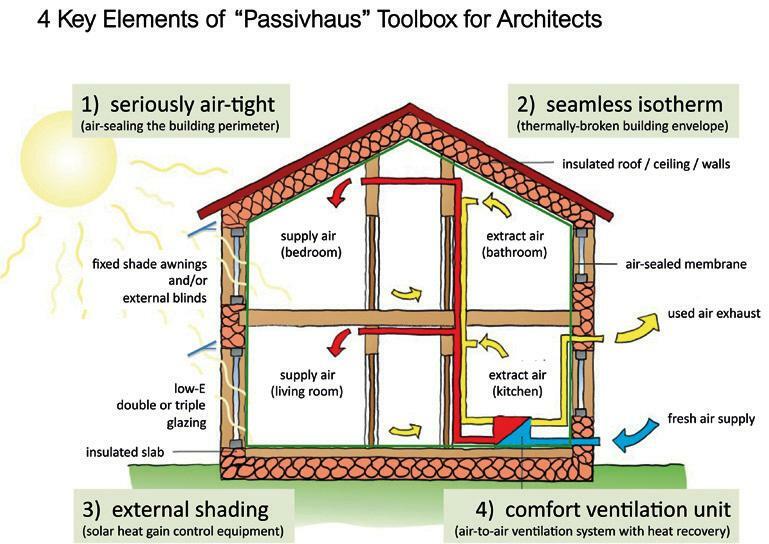 Aldinga Arts EcoVillage (AAEV) is the product of this and I can only imagine the amount of paperwork and convincing needed to get it through council laws…! I have spent a lot of time in the Aldinga area over the years but had never heard of AAEV (maybe because I didn’t live in Adelaide for the past 14 years) and only heard about it for the first time last year. 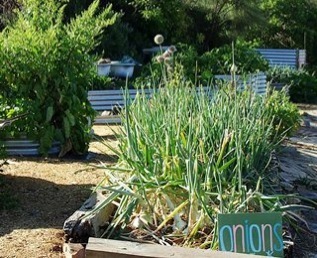 I couldn’t believe a space like this existed where it was a drawcard for people who sought after connection to people and planet – especially where I had been brought up in relatively conservative Adelaide. AAEV is hosting the building of the Happy, simply home and there could not be a better spot where collaboration will result in mutual benefit. The Happy, simply outlook to life where ‘less is more’ and ‘just enough is plenty’ fits in very well to the atmosphere and peace of AAEV. 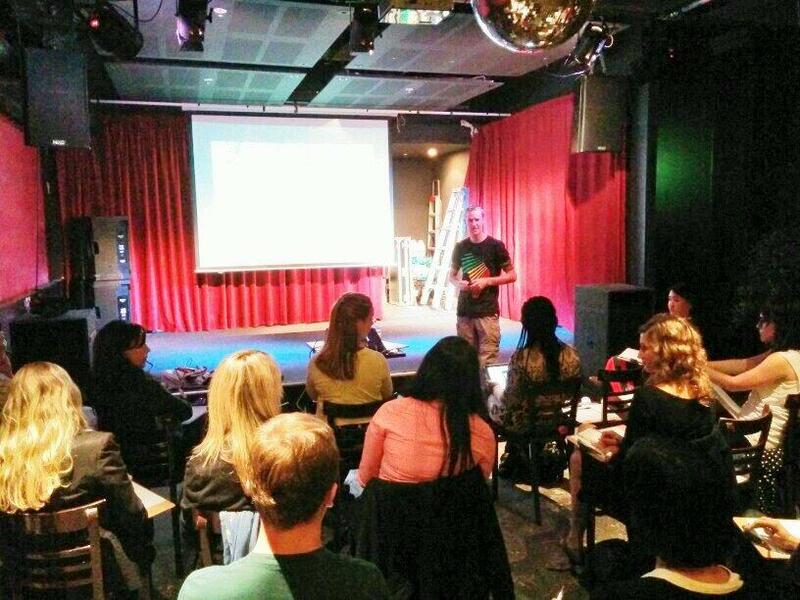 AAEV firstly listened to the Happy, simply idea, they then shared it with their community and I was lucky to find Beau who wanted to take the idea further. AAEV will not only host the build of the project but also some of the volunteers! AAEV has already offered so much in the way of people keen to help out with – building, tools, food, sharing the idea and more. The beautiful thing of this partnership is that once built the Happy, simply home will be available for anyone and everyone to use and have a taste of the Happy, simply life. This sounds a little strange to have a relationship with a home but that is what happens when you have the smallest input or interaction with something – this is one of the things I have learnt from the developing world. They have a relationship with everything around them because more often than not they have had to be a part of it to make it happen as nothing usually falls into their lap from their government or others. Be sure to come and interact with the Happy, simply build 24 May – 8 June and take a look and experience around the village as well! Is Easter a celebration to be thankful? If it’s not it doesn’t matter because I am full of gratitude and a lot to be thankful for. 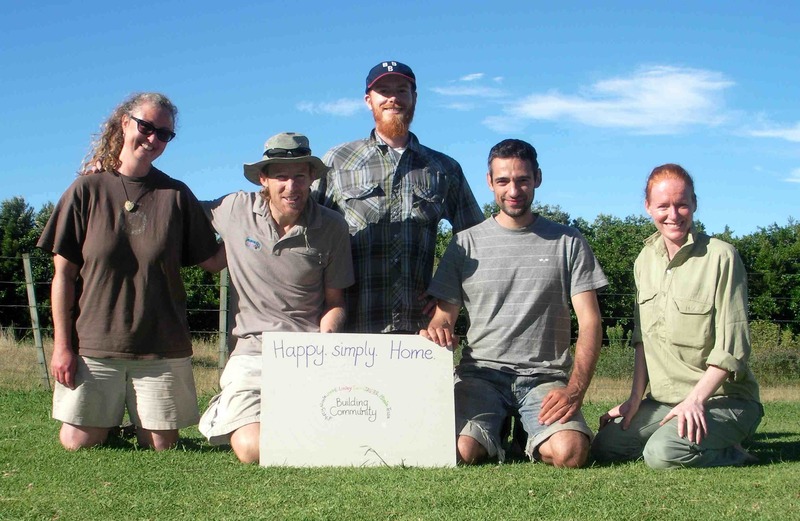 Happy, simply South Australia has a builder! Charlie Carpenter is our builder, a wonderful retired builder who is keen to share his skills, experiences and knowledge and I definitely know anyone who is involved in this project will be better for it. The place we found Charlie was at the Aldinga Arts and Eco Village (AAEV) which isn’t that surprising and keep an eye on the next blog that explains the magic and common sense that is AAEV – and also the home for the Happy, simply SA home! I had just returned from New Zealand having completed a Happy, simply home in the small community of Paekakariki. I kind of looked at maybe seeing if there were others interested in the concept in my hometown of Adelaide. 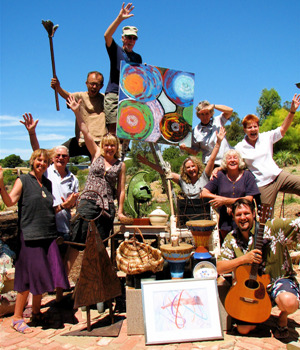 Eventually someone told me about the Aldinga Arts and Eco Village and sure enough having spoken to a few people there some interest was raised. At that stage we didn’t put anything into plan as I was keen just to hand over the concept for others to use, and I headed off to Africa to do some work with UNICEF for the rest of the year. However not long after I had lobbed in Uganda a resident of AAEV got in touch with me. Beau had missed out on hearing about Happy, simply while I was in Australia but he enthusiastically emailed me to get some ideas. I passed over the concept and all the info (as I do for anyone) and wished him luck with making his own Happy, simply home at the village. Unfortunately not long after Beau was diagnosed with bowel cancer, he’s under 40 years old, so the Happy, simply idea was put well off the back burner. In February this year I returned to Adelaide to visit family for a couple days and went and met with Beau as we had kept in email contact. After finally meeting and in that conversation we decided we would hold a community get together and see what interest there was and if we could get a Happy, simply build off the ground. I was still a little at arm’s-length and happy to hand it over to someone to do for themselves but at that community meeting people were enthusiastic and I started to get a good vision and practical plan of a Happy, simply home in my hometown just 10km from where my mother and some other family live. That meeting was about a month ago and since then we now have! A builder – Charlie Carpenter! An incredible man who has a lovely wife, young daughter, fortnightly chemo treatments and is the absolute driving force behind the project – Beau! Basically we are good to go for Happy, simply South Australia! Just have to wait till May 15 to kick it all off with the official build period being 24 May – 8 June. 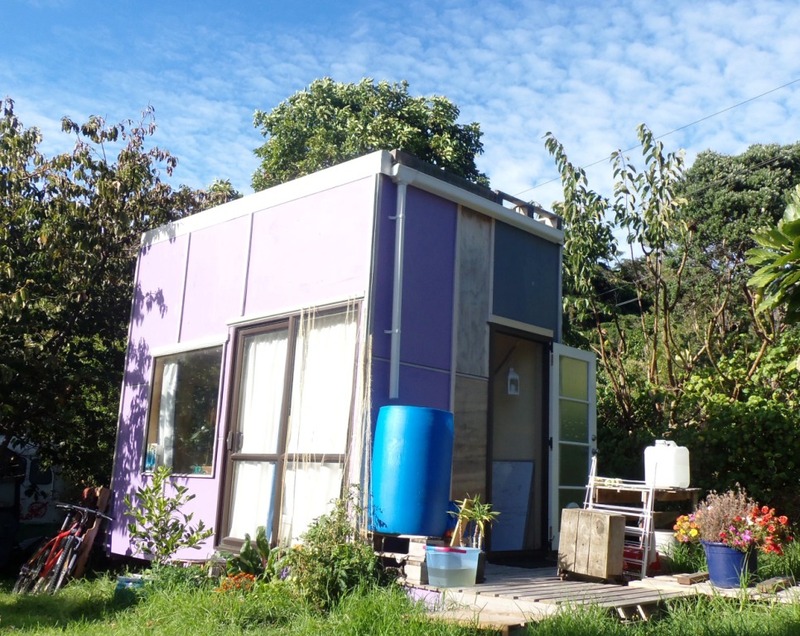 Firstly I have been living in my Happy, simply home in Paekakariki, NZ with such purpose, joy and fulfilment I can’t tell you how wonderful it is living off the grid (but still going to the library to use internet and work each day :). We have been given an old caravan off freecycle to use as the base of our home! Thank you so much Stacey and we will be sure to give it new life! 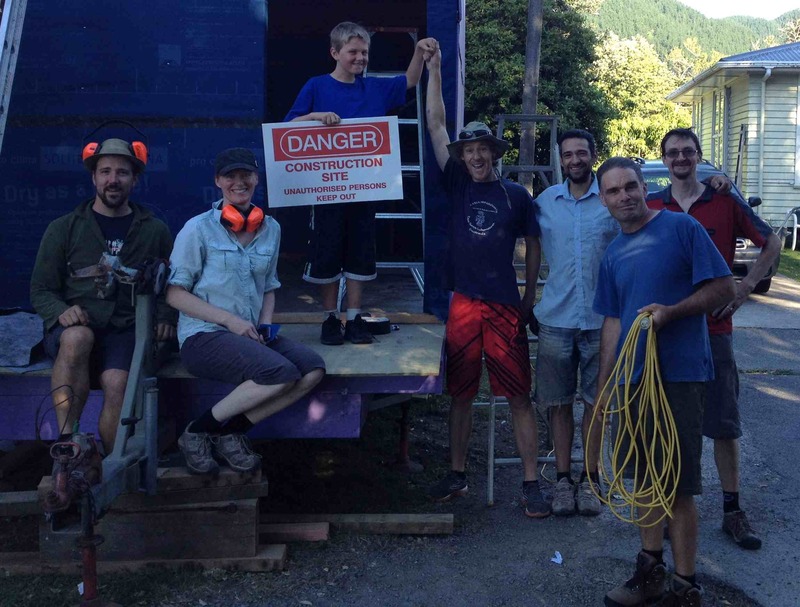 The Heathfield HS is very keen to join us 3-4 days a week, one week before the build for the demolition of the caravan then the following two weeks so they can have a hands-on practical build for their students to learn. This is just what Happy, simply was designed for – education! Thanks Kieran. Another almost full-time volunteer, Lindsay, will join in and add her organisation skills and many years experience of building background sets in the opera! 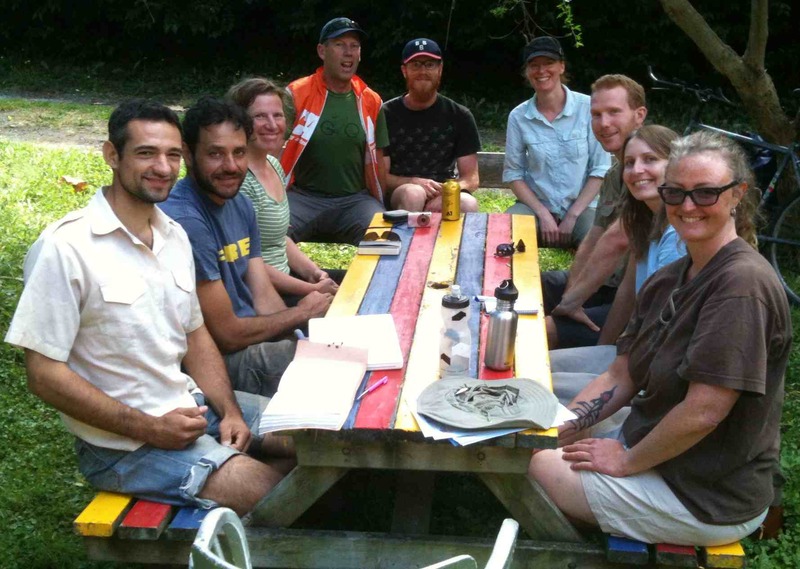 This is a wonderful mix of people, skills, experience and ideologies – just what the project needs. Looking forward to another week of wonderful surprises, people and building community! And the list will grow or if you have suggestions for things you have that you think will add to the Happy, simply feel and home! What we can pay back to you! 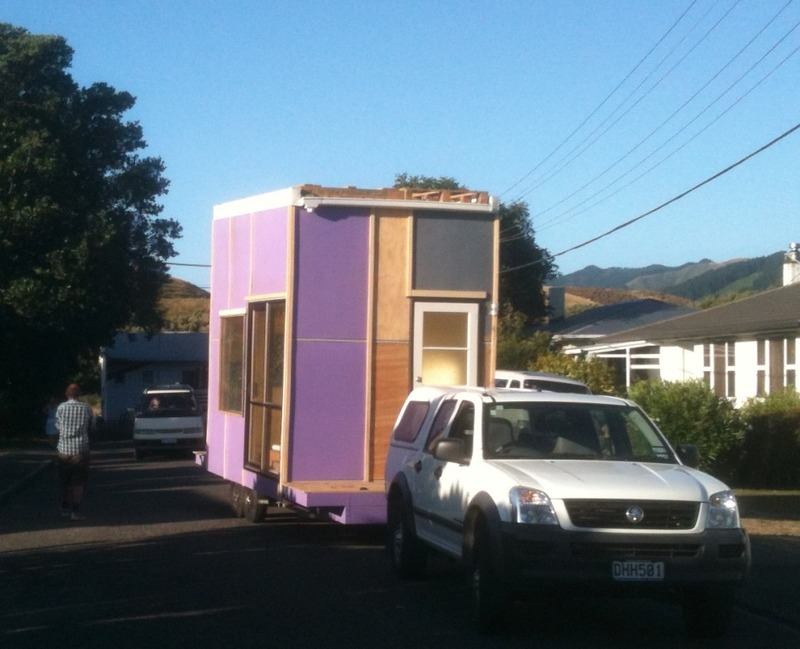 Free accommodation in the Happy, simply home once it is finished! I will be paying for all this just from my own savings and I plan to use it for the small bits of time I am actually back in South Australia, but outside of that time (usually 11 months or more a year) the home will be available for anyone to come and experience the happy, simply life! 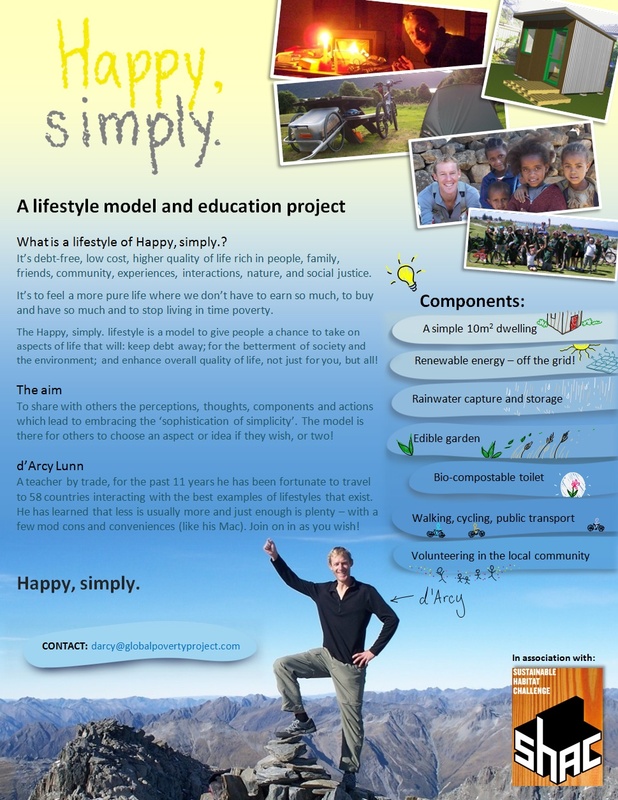 Happy, simply – a sustainable lifestyle model and education project. Tiny house, community living and where just enough is plenty! 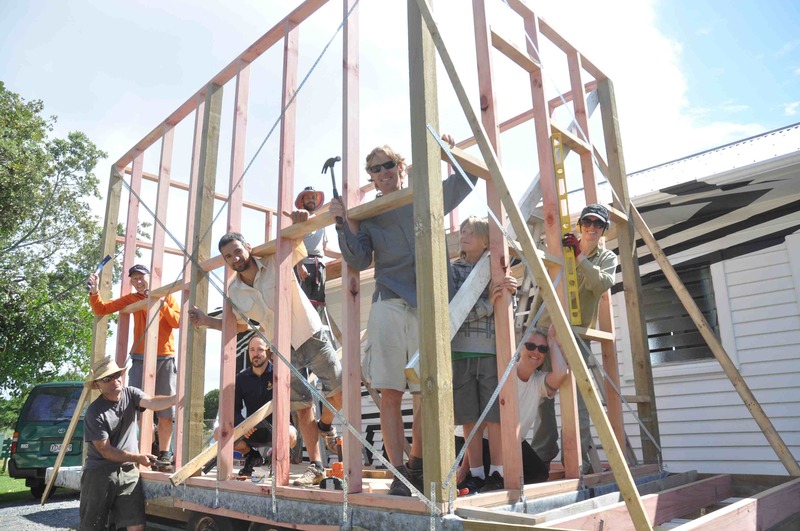 The Happy, simply home – want to participate in a community building project? 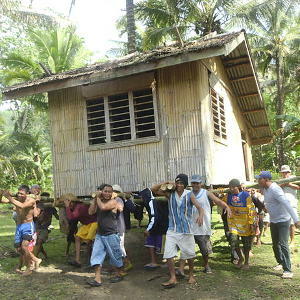 We are proposing constructing a small, mobile house of approx. 10m2 that is ‘off the grid’. The same project was done last year in Aotearoa New Zealand (see youtube clip here) with great success and we want to see if we can do something similar (and better) this time in South Australia. It has been a year since I left it and I really couldn’t believe the emotions and feelings I had upon seeing the home again the other day and then spending the night in a home that I helped build with a great bunch of people. The atmosphere and energy of memories, laughs, highlights and challenges overcome was just incredible. I will be living in it for the next 6 weeks!!! 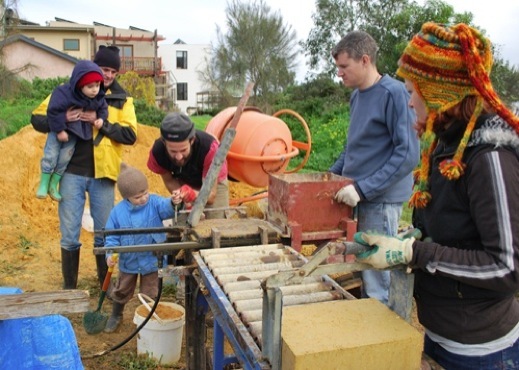 I am so looking forward to doing another one of these Happy, simply homes at the Aldinga Arts and Eco Village (AAEV) in South Australia in mid May. However to get to that point I also remember the amount of organising and collaboration that is needed. 15 June Little-home warming party! I am keeping a document of people who are keen to join in to learn, share and build so please send me an email with your name and contacts, your building experience (never before to fully qualified – all welcome!) and your availability. The more time the better for the project and also you to get the skills and see it evolve from an idea to a home in 16 days!